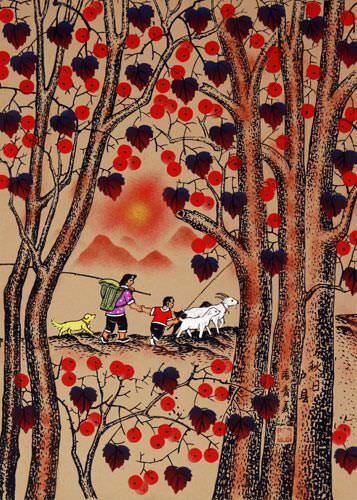 The Chinese title of this painting is "Mu Ge". 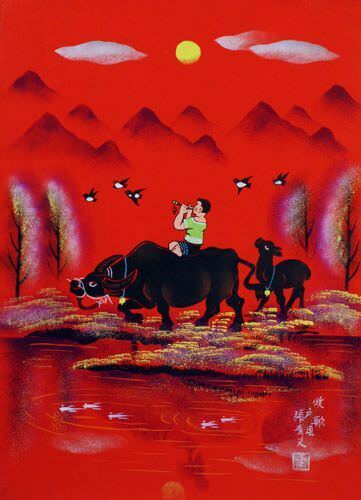 Surely this young boy that is tending to his animals is playing a traditional song for them. 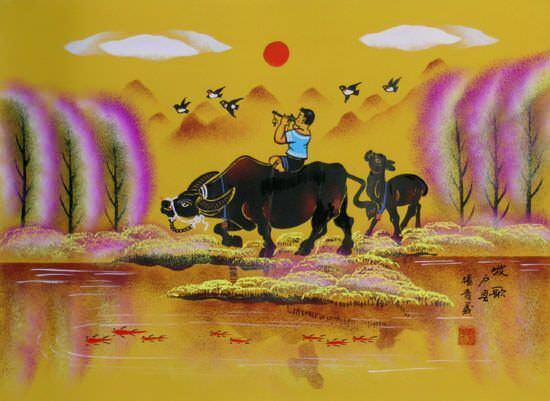 He is holding and blowing a little reed instrument that is made from a gourd and some bamboo. 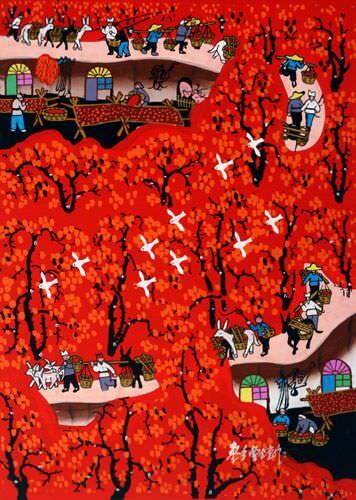 This painting is by Zhang Qing-Yi from a small town called Qindu in Huxian County in the Shaanxi Province of China. 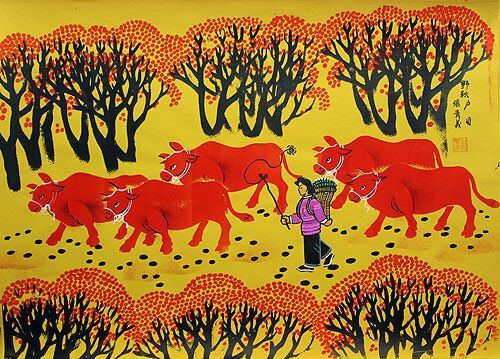 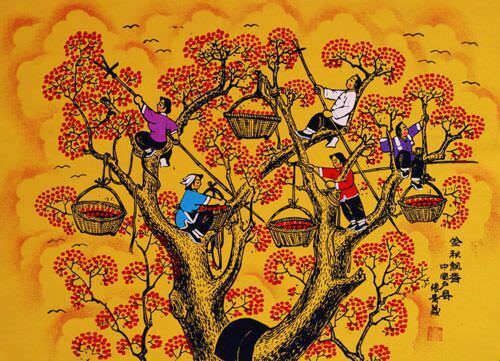 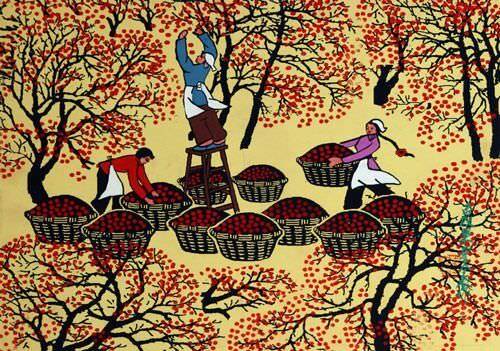 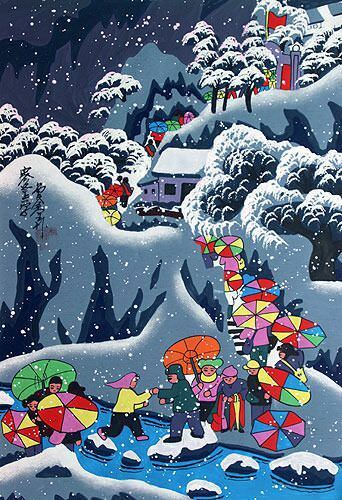 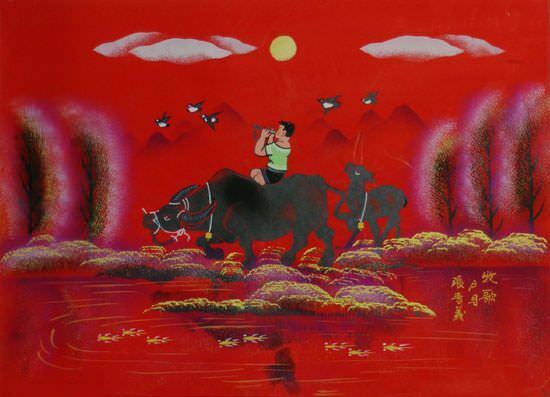 These folk art paintings show scenes that are typical of village life in the middle of China.